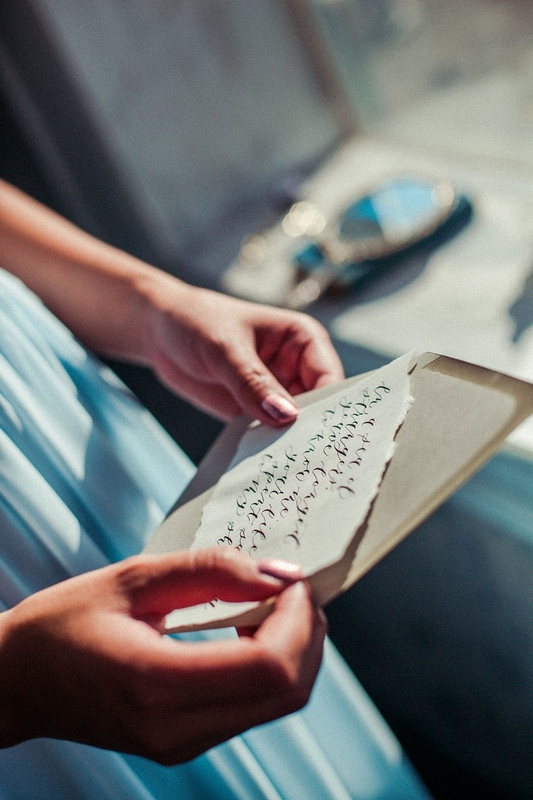 With Valentine’s Day just around the corner, why not celebrate the quintessential Valentine’s Day item: the love letter. 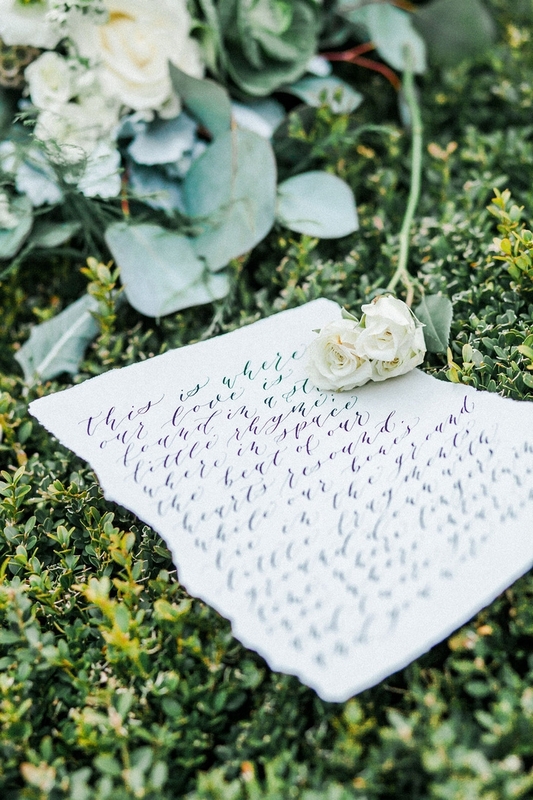 Chocolates, roses and champagne are all lovely – but nothing compares to a thoughtfully written note from the love of our lives. 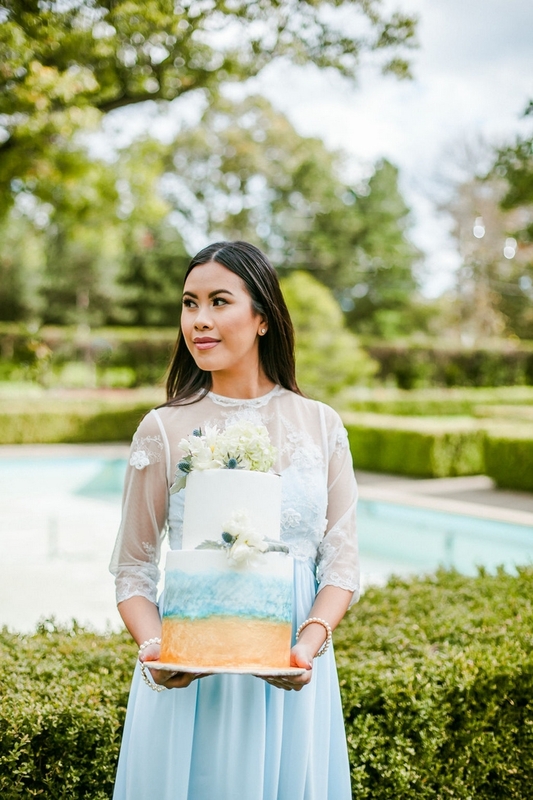 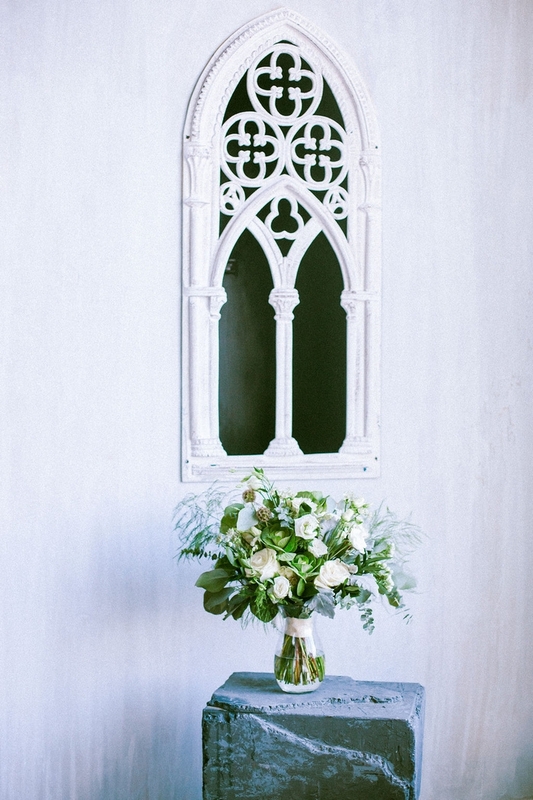 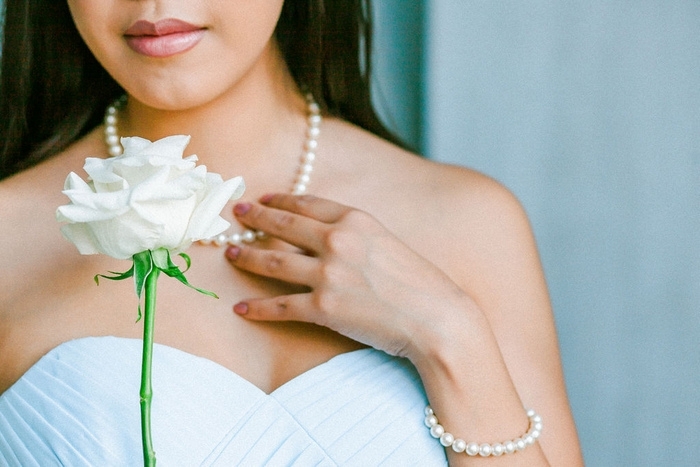 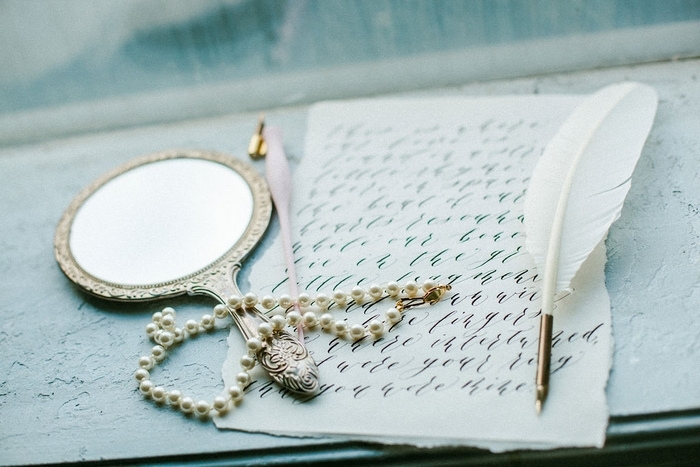 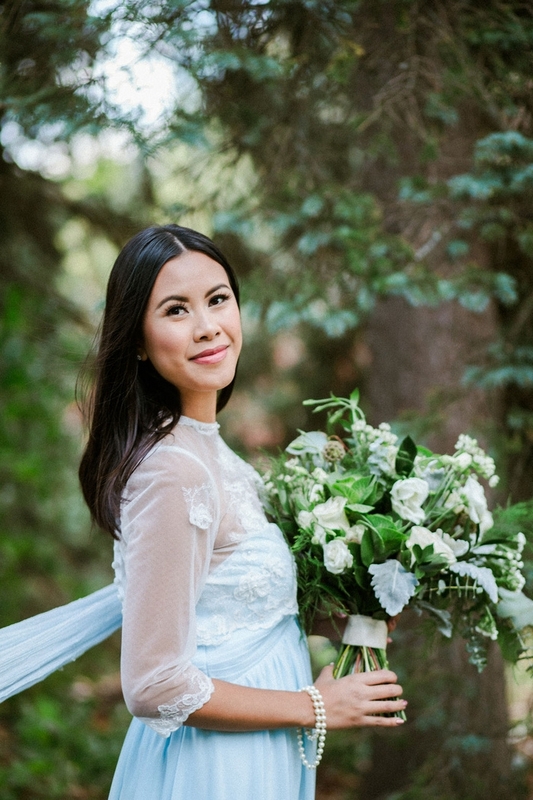 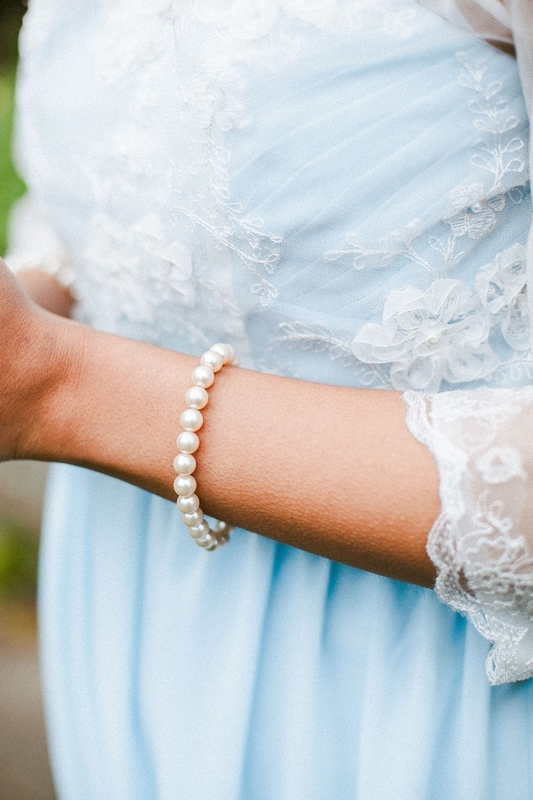 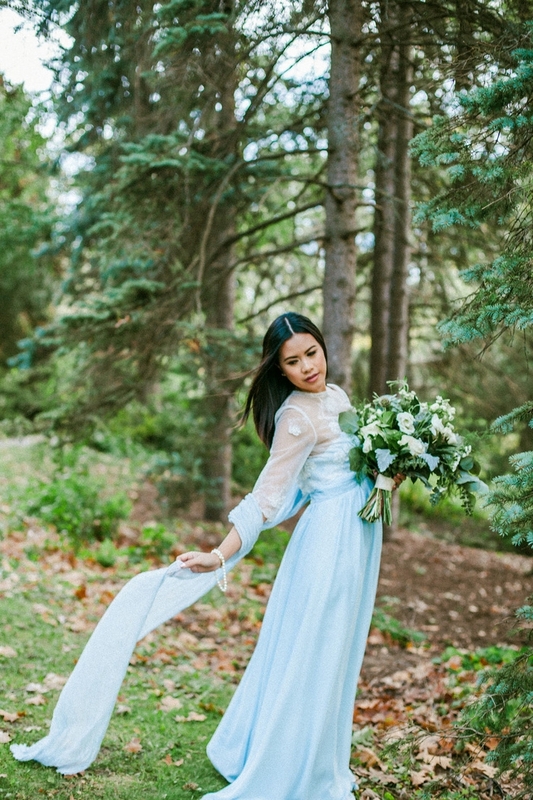 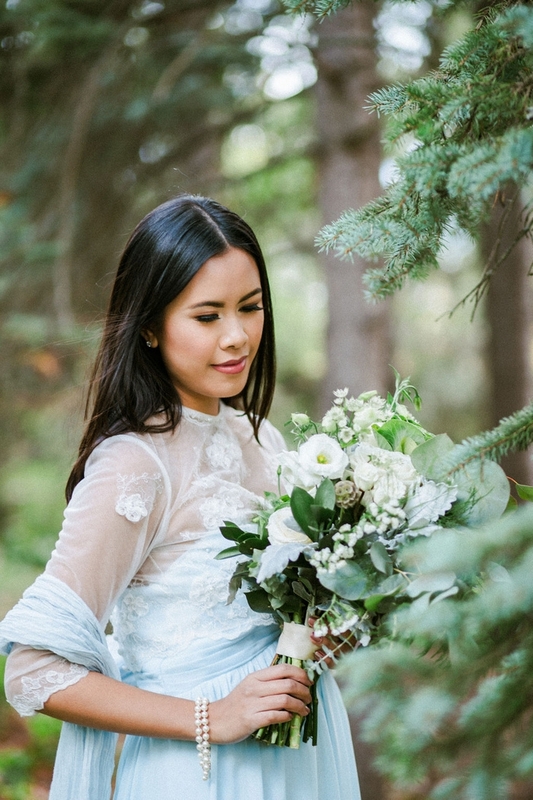 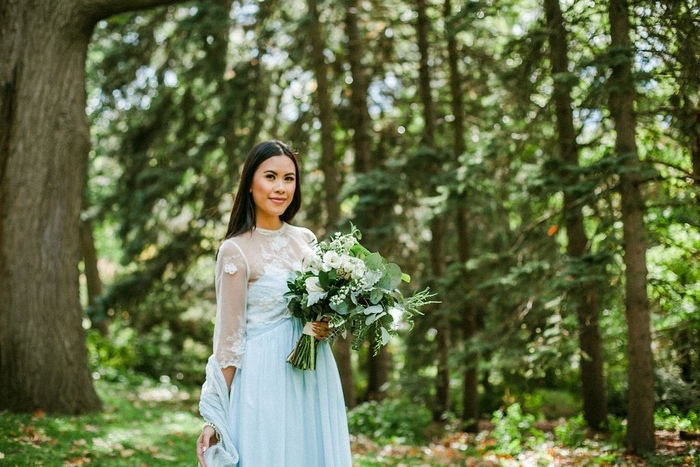 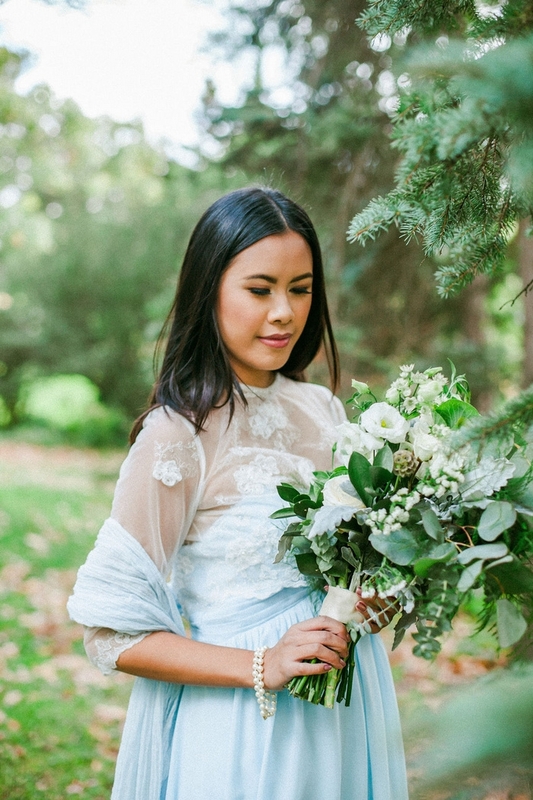 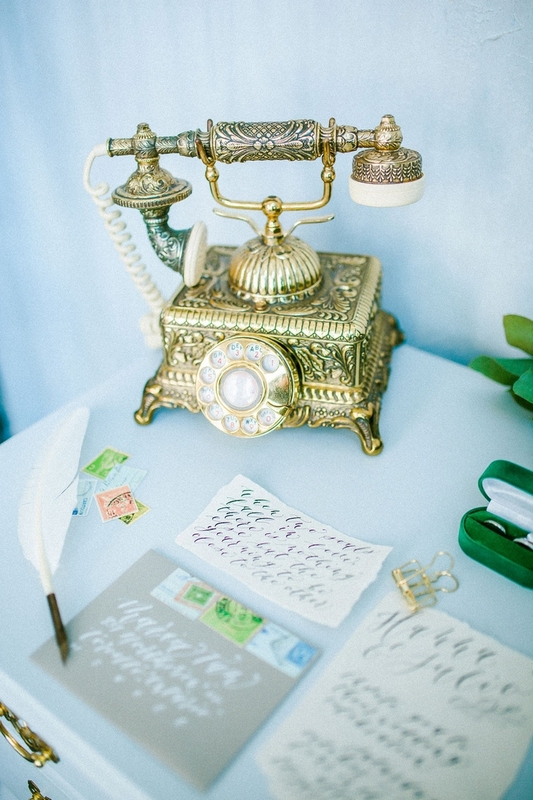 Shot in Toronto, Ontario by Karimah Gheddai Photography, today’s dreamy ‘Love Letters’ styled shoot is full of romance and gorgeous pastel details that would be stunning in a spring intimate wedding. 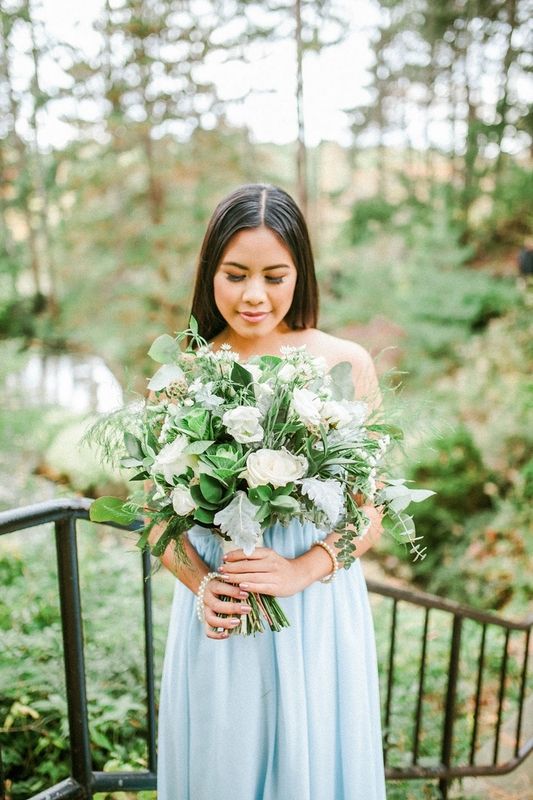 Karimah Gheddai Photography was inspired by film photography to create photos that look like they have been shot with film so though the photos were all shot digitally they were edited to look like they might have been taken with a film camera. 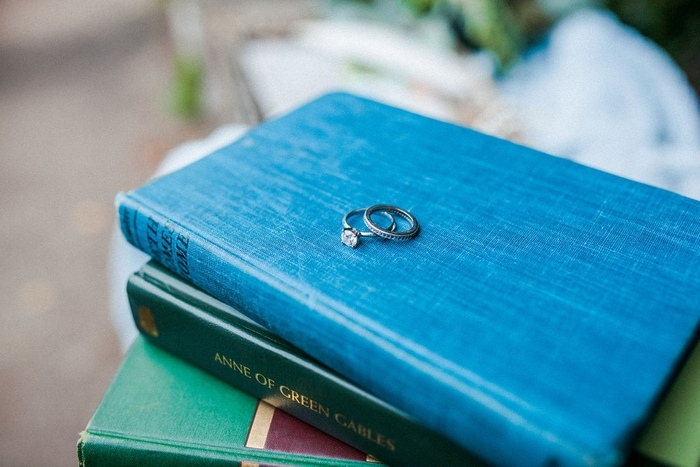 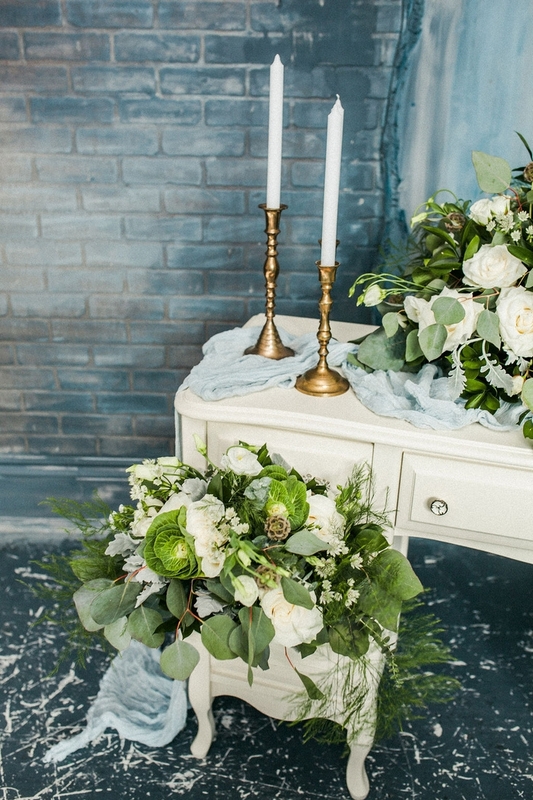 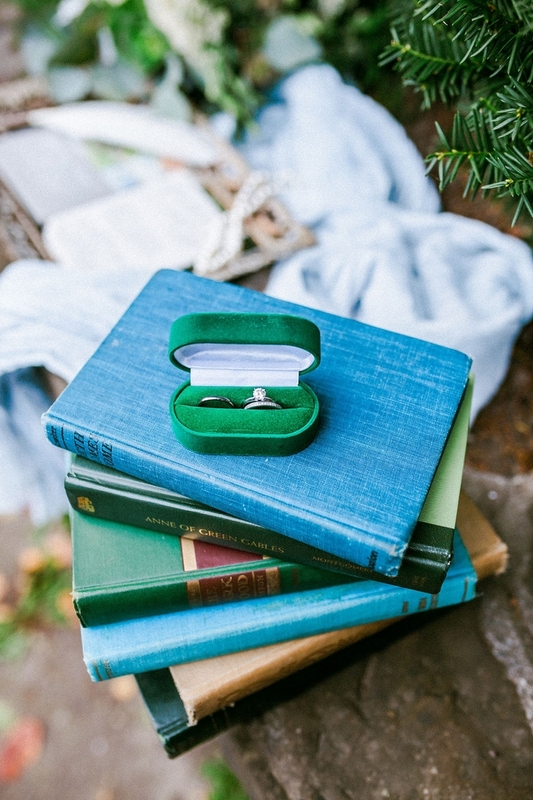 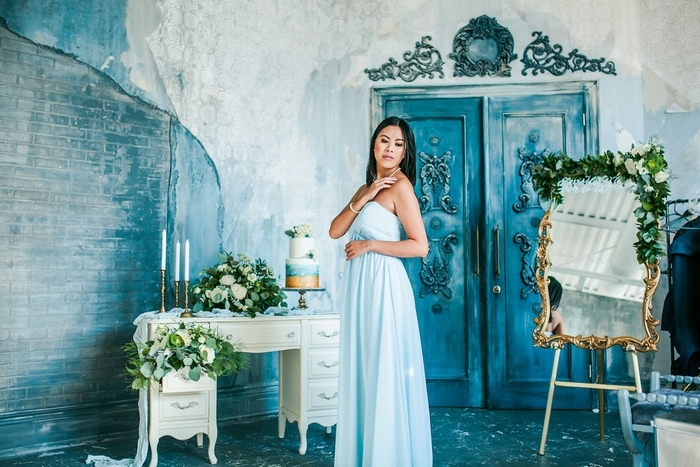 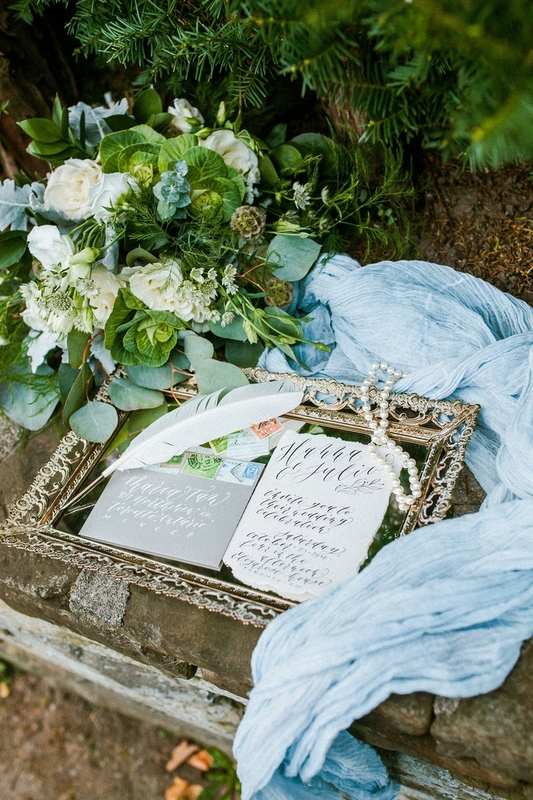 A dusty blue colour palette was chosen for this shoot and a number of vintage inspired items were featured such as the beautiful golden edged frames and trays. 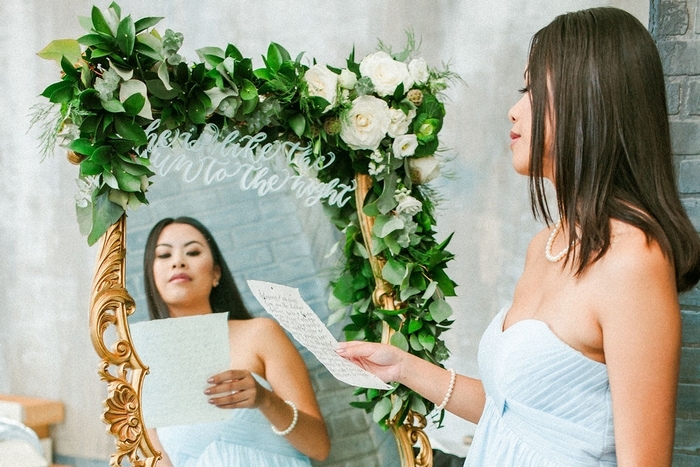 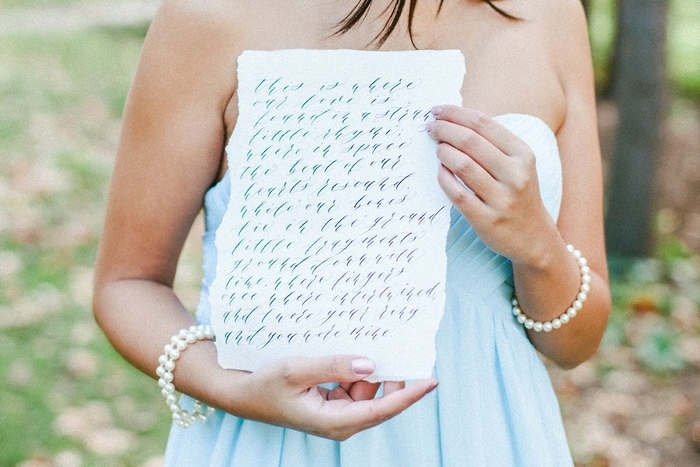 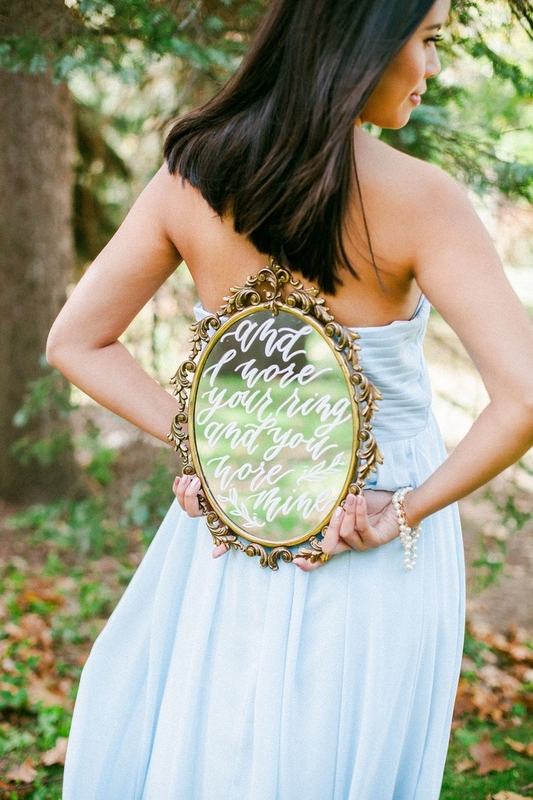 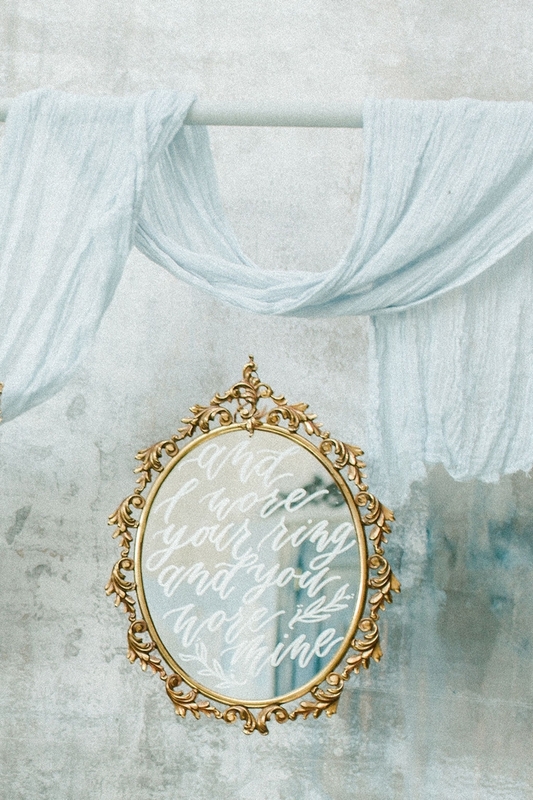 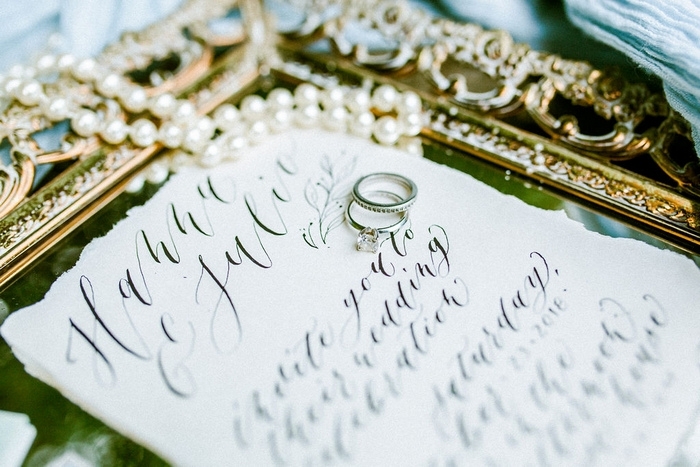 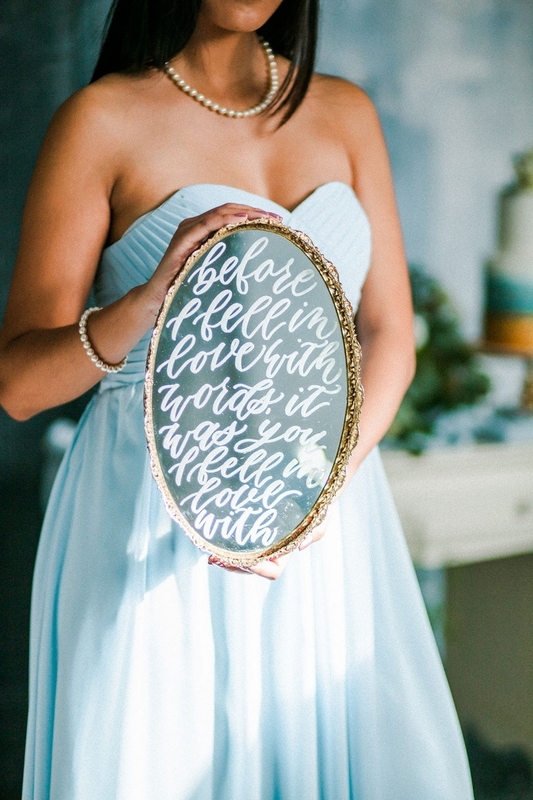 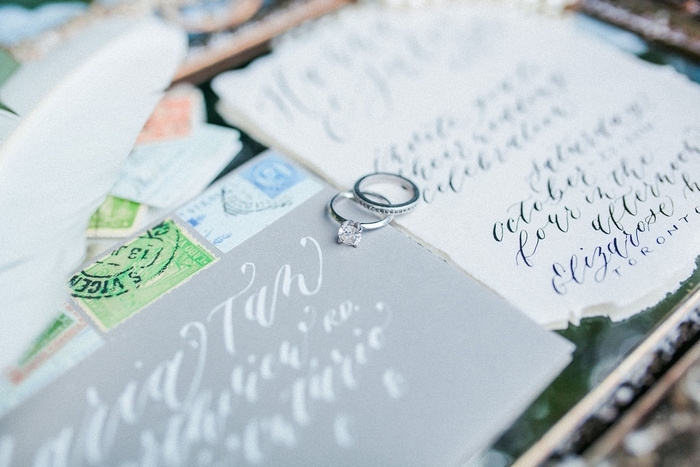 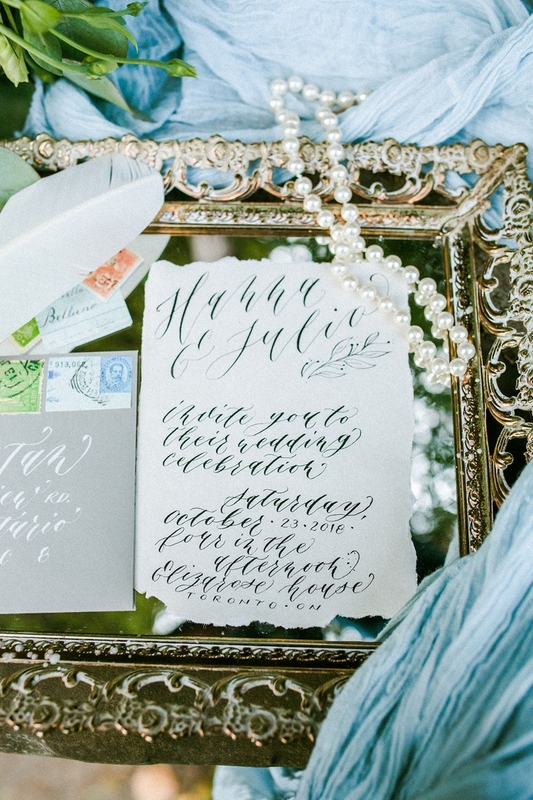 Our Calligrapher (Jovie of Pinya Letters ) created special “love note” calligraphy pieces that were featured on mirrors, frames and traditional paper “letters” of course. 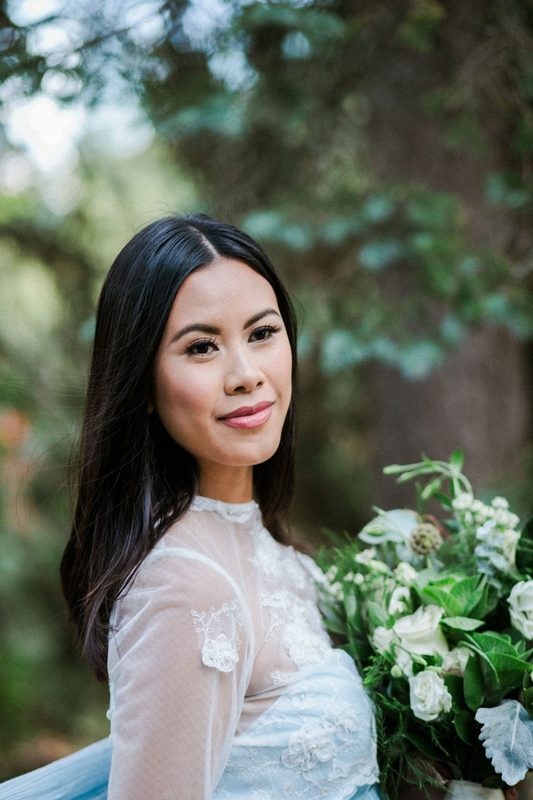 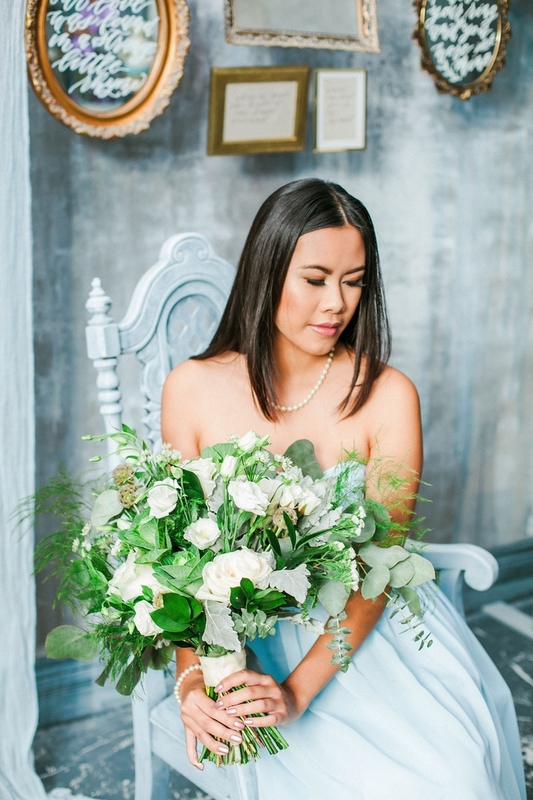 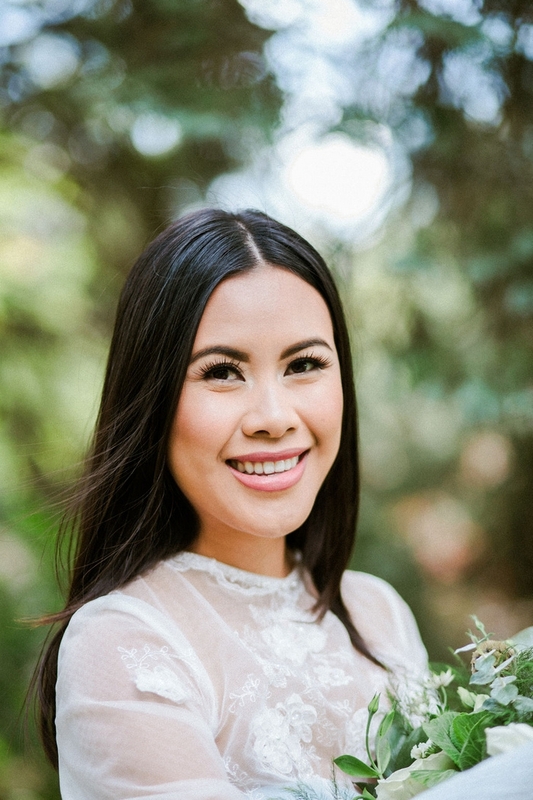 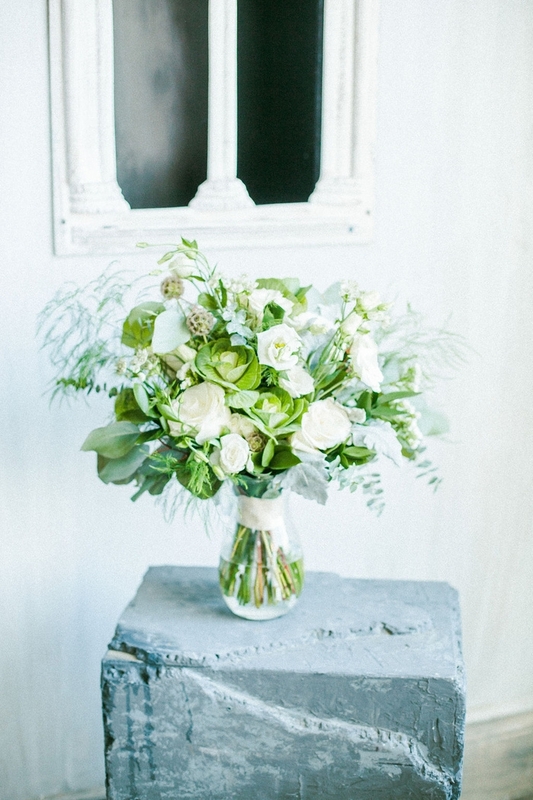 Our florist, Lovely Blooms , designed a chic bouquet featuring beautiful white florals and eucalyptus leaves, along with other types of green foliage. 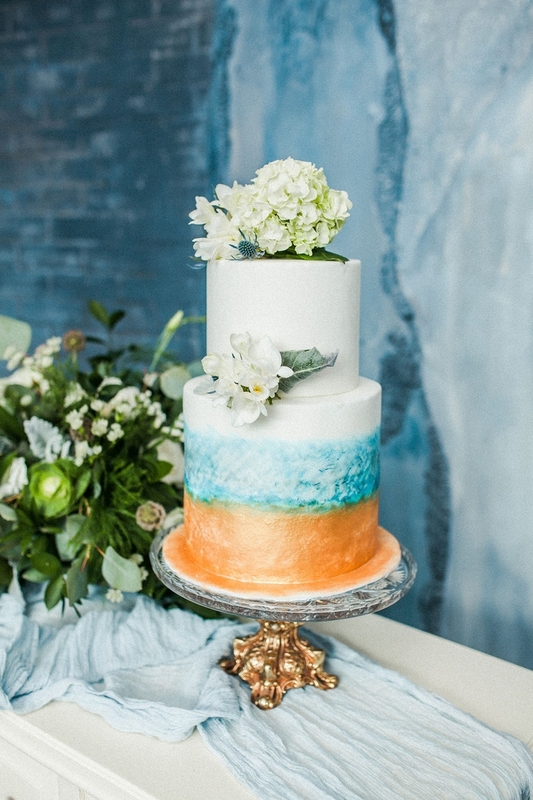 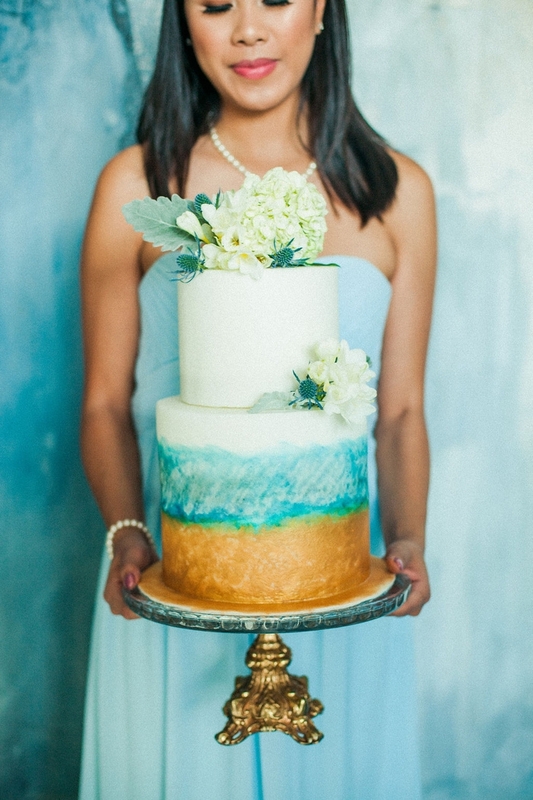 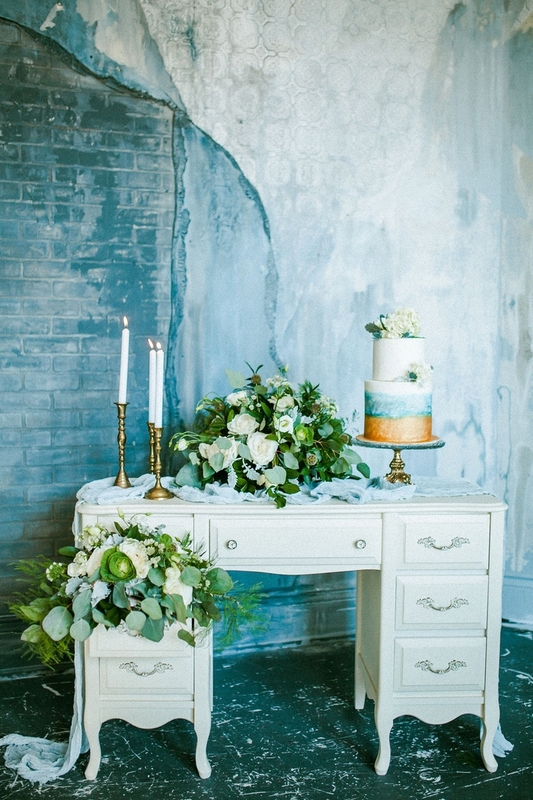 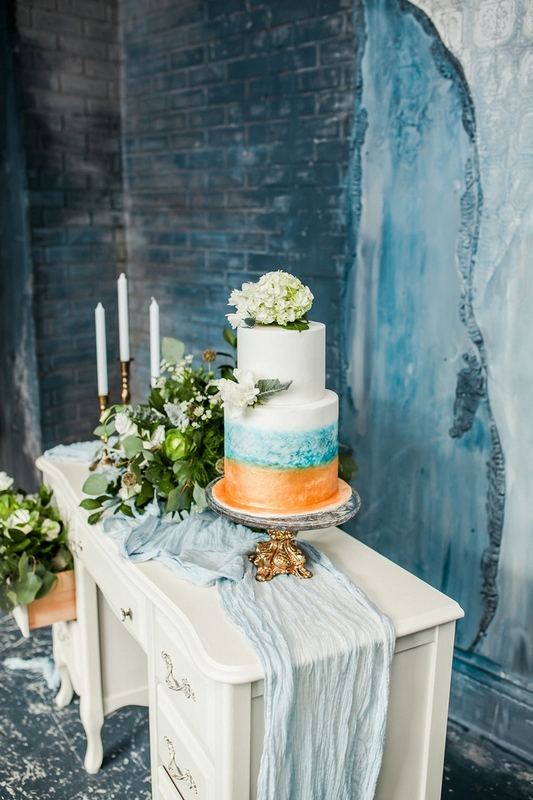 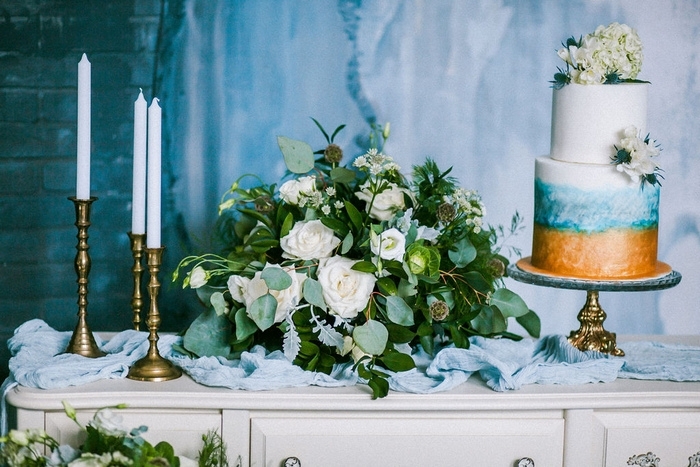 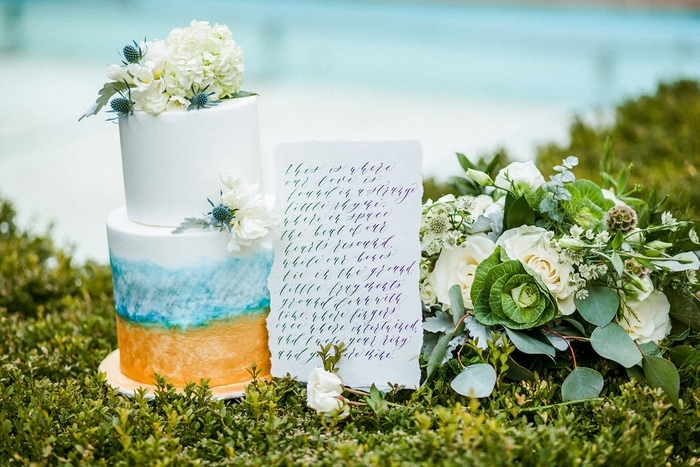 The cake by La Patissiere was a pretty dusty blue and gold accented beauty, with florals adding the finish touch. 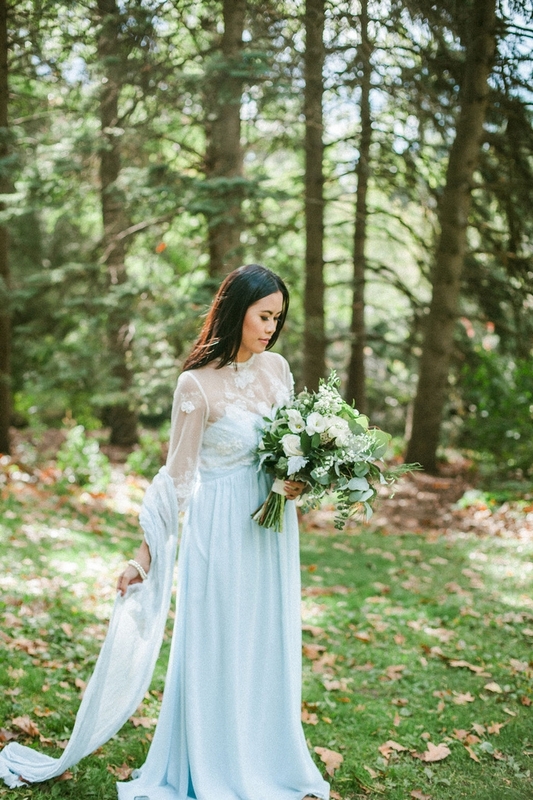 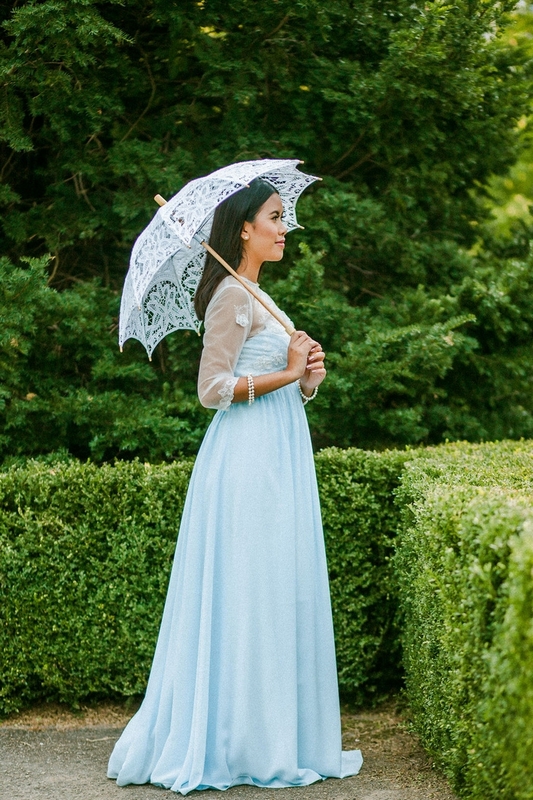 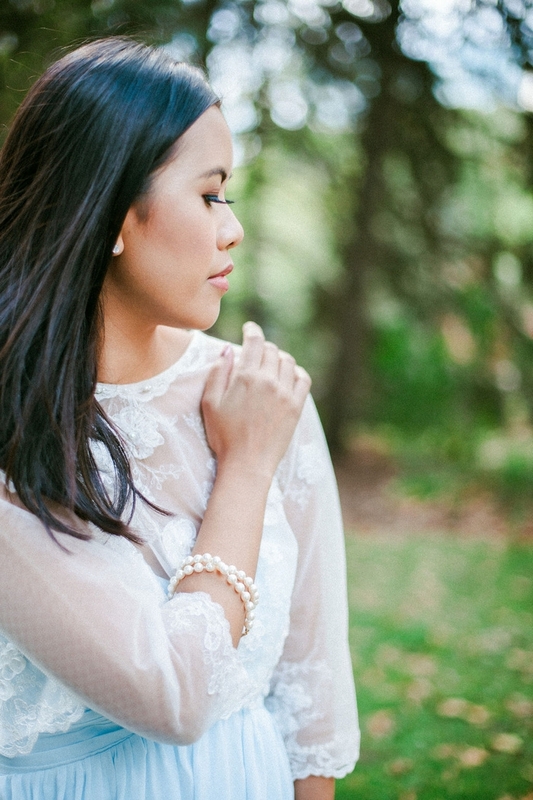 Our dress designer, HolliexKate, conceived a classically “simple but stylish” flowy dress with a cute lace top piece. 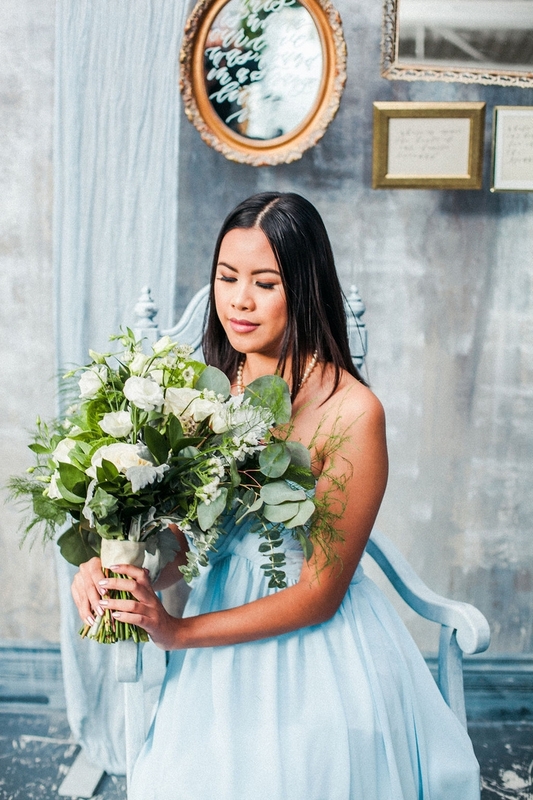 The make-up artist, Prerna and Co., for this shoot kept the model’s look very natural and timelessly beautiful with a subtle pop of colour in the lips. 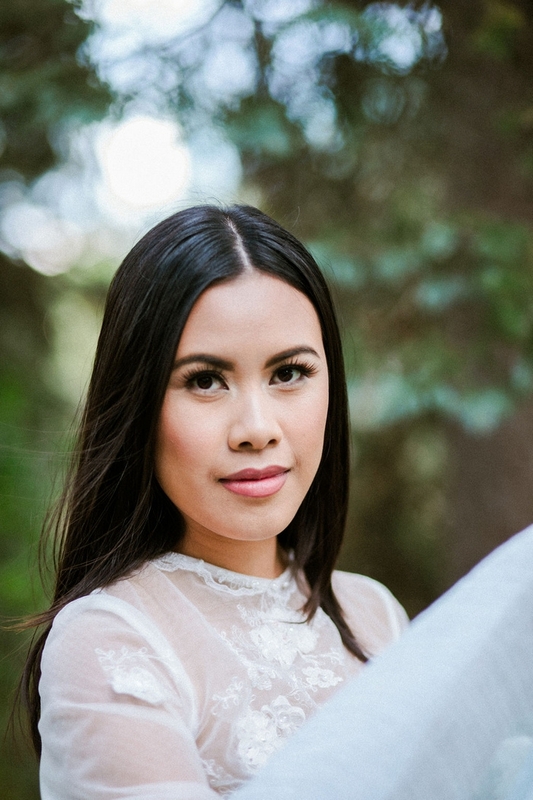 Make Up Artist: Prerna and Co.